In advance of the (oh-so-exciting!) Podcast Movement 2017 this month, Podchaser is partnering with Patreon to hold a contest to identify the best of the best in podcasts. 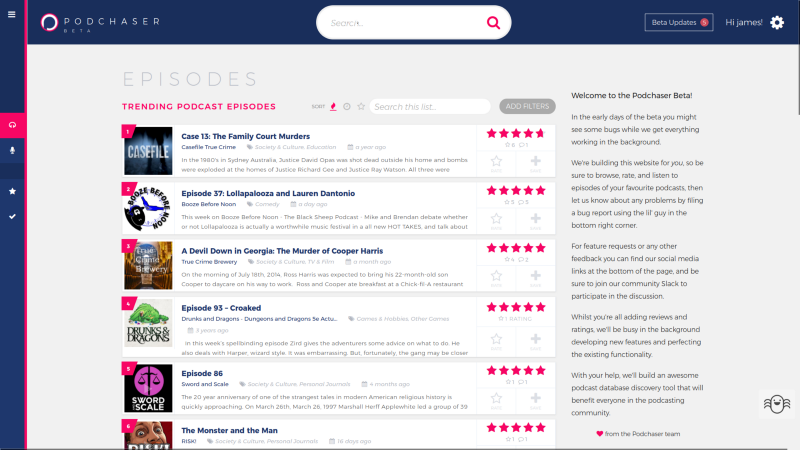 Using Podchaser’s episode-level rating system, we’re identifying fanbases’ number-one episodes of their favorite Patreon-supported podcasts. By collecting your votes, we’ll put together an article highlighting the best content and help your favorite shows grow even more. 3. Rate and review your favorite episodes! Here’s the full list of participants. Don’t forget to log in and vote, and make sure to rate and review all of your favorite shows.